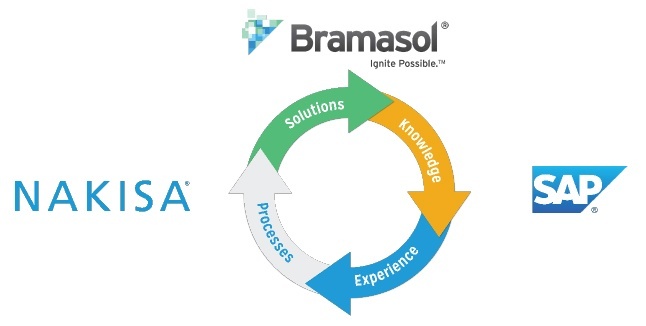 Bramasol would like to wish all our employees, customers, partners, and blog readers a Happy New Year 2019. We are thankful for your trust, loyalty and the valuable partnership we shared in the past year! It’s a pleasure to work with you all and to create value for our clients all over the world. As the year moves into the holiday season and 2018 comes to an end, all of us at Bramasol want to wish a Happy Thanksgiving to our valued customers, partners and colleagues throughout the world. 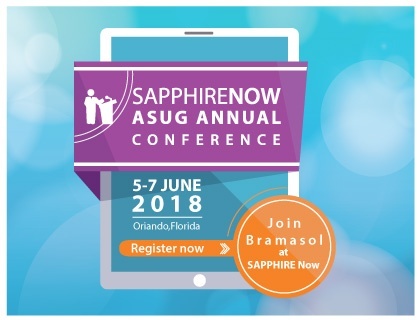 Bramasol is excited to be at SAPPHIRE NOW and the ASUG Annual Conference, SAP’s biggest event of the year! 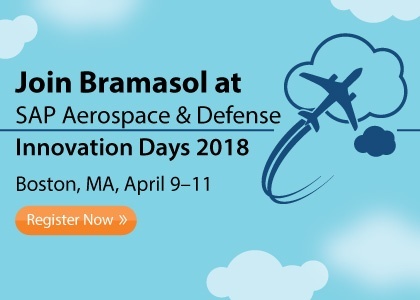 Join Bramasol and learn the latest about our technology innovations and solutions for challenges facing the Office of the CFO in Orlando, June 5-7th’2018. Please join with Bramasol at SAP Financial Excellence Forum October 10-11, 2017 in New York City to learn how top organizations are transforming their financial management processes. In 2016, the International Accounting Standards Board (IASB) and the Financial Accounting Standards Board (FASB) issued new standards for lease accounting: IFRS 16 & ASC 842, which must be implemented by 2019. Both IFRS 16 and ASC 842 are the result of a joint effort between the IASB and FASB to meet the objective of improved transparency, comparability and financial reporting. 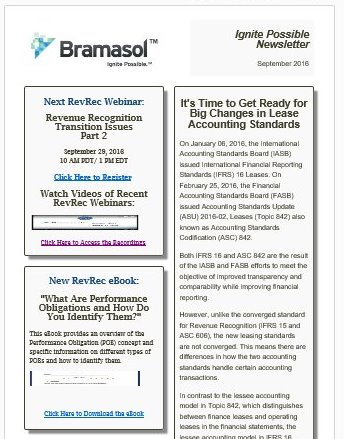 The latest in our highly regarded series of Revenue Recognition webinars is now available for viewing online. This webinar titled "RevRec Reporting - Insights and Analysis Using SAP RAR" was held on December 7, 2016.